This is a style of clock I have never seen before. This clock uses a laptop, circuit board and an Etch-A-Sketch hooked up to a couple of stepper motors. 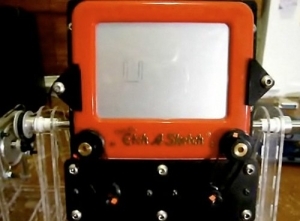 Each and every minute the etch-a-sketch is flipped upside down automatically, rotated right way up and then the current hour and minutes are redrawn on the screen with in about 20 seconds. At the minute mark this process is repeated. 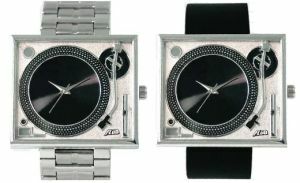 The Turntable Watch is designed to look like a Technics 1200 turntable. The clock hands rotate to turn the time, but unfortunately you cannot scratch mini records on it. 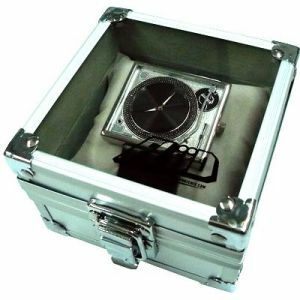 The Turntable watch comes in a cool case too which looks like a miniature flight case. It costs just $59 and is available from TurntableLab. 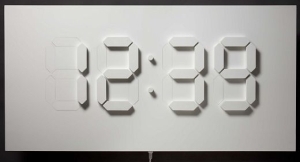 The rolling clock is 9″ in diameter and costs $179 from gnr8. This heavy duty watch features 2 separate LCD screens. On the left screen you can see hours and minutes and the right screen shows the seconds scrolling by. With the MF being heavy duty it is scratch resistant on the face due to it having a mineral glass face and also water resistant to 30 meters. The MF costs $222 which includes free shipping around the globe. 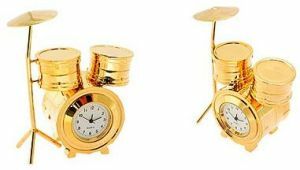 This gold (silver also available) clock is shaped like a set of drums. 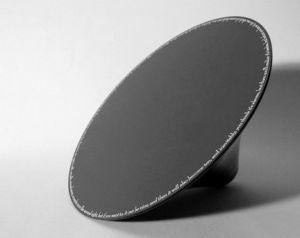 Inside the drums you will find a quartz clock embedded which is accurate to about +- 7 seconds per year. The drum set is made of metal and is gold or silver plated. Size: dia = 21mm, drum size is L50 x W28 x H75 mm. Currently the drum clock will cost you $10.99 over at WatchSuperStore. 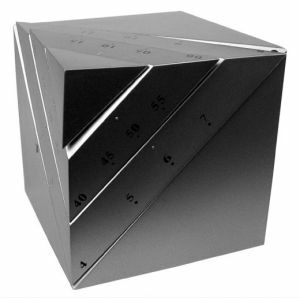 For just a few minutes a day this clock is shaped just like a cube. However, as time moves onwards it starts to change shape as the various sections rotate around an axis. 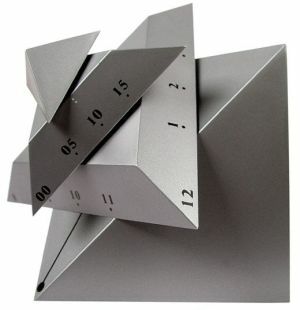 When it gets around to 12 again the clock is cube shaped. The largest triangle is for displaying hours while the medium is for minutes and the small triangle on the edge represents seconds. 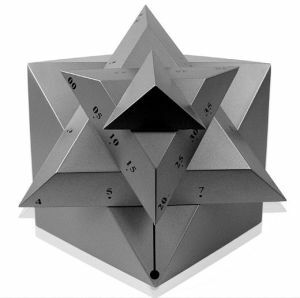 The cube clock costs just shy of $12 from Chinavasion. 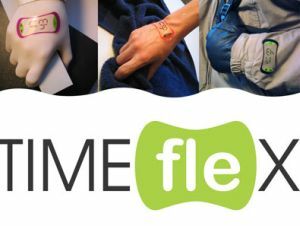 TimeFlex is a unique concept idea which uses a “self-gumming” sticker like watch which can stick on to any surface such as your hand, arm or clothing. The idea behind it is that sometimes you need a watch on you but it’s not always a good time to do so, such as when swimming. This watch could literally be stuck to your wrist or swimwear and not create any drag. It’s not a concept I expect to see happen too soon though. 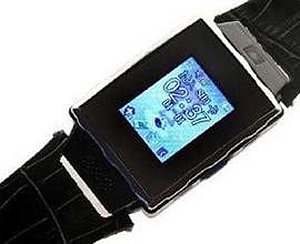 The Ana-Digi watch is excellent as it sports an E-Ink display behind the regular analogue hands. This allows you to make changes to the style of watch face at the push of a button. 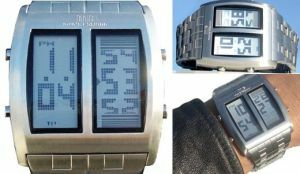 With the display being E-Ink, it is very low powered allowing the watch to carry on functioning with out any major battery issues. I have to admit that it is a great looking watch and with the option of changing style from black to white, and adding numbers makes the watch more attractive. Prices are $250 for either of the 2 versions which feature a leather band or Polyurethane band. A lot of retro type gear is being re created in a more modern way. 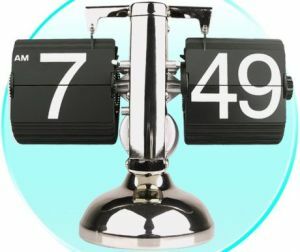 However, this retro flip down clock retains most of it’s retro-ness by by using actual flip down mechanism. It is powered by a 9V battery and the minutes flip down every 60 seconds (no surprise there). It is available now at ChinaVasion, and for 1 unit it costs just $34.01. The Stonehenge watch is like no other watch I have come across before. It is a portable Stonehenge with the miniature rocks all aligned up correctly as you would find at the real Stonehenge. Here is the cool part… it actually does tell the time. By using the built in compass you spin around till you are facing north. You then insert the gnomon (the stick in the middle) and put it in front of the altar. Looking at the shadows you can then tell the real time. Obviously it wont work too well when the sun is not out or when it’s dark. Also, you can work out the correct seasons by working out which stone the first shadow of the day is cast upon. If it rises over the heel stone then it’s the first day of summer. The Stonehenge watch will cost you $42.95 with shipping costing $12 for international.